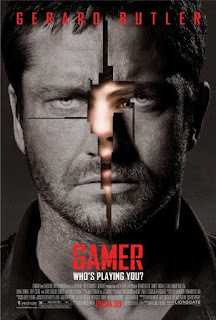 I have great admiration for the movie Gamer and its directors Mark Neveldine and Brian Taylor. I really enjoy science fiction. and, specifically, anything that challenges my brain on multiple levels. Gamer is brilliant because it challenges and questions the individual and society at large. It's refreshing to see such daring quality of work in a field where the post-blah, blah, blah theme is dominating film content these days. Working on my monologue with my Acting Coach. Added a inebriated portion of it. Having fun learning alot. Eternally grateful to Stephen for his professionalism & skill. Enjoy peeps! 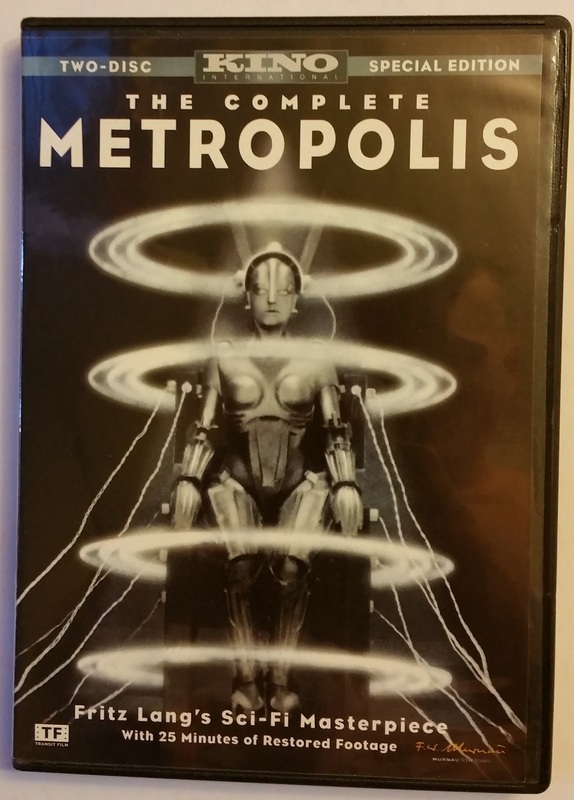 I am a movie buff and one of my favorite movies is the 1927, black and white film, Metropolis. 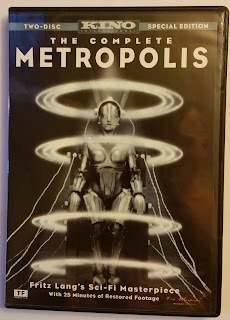 I am captivated at the powerful messages conveyed through this silent film, in particular the foreshadowing of complete government control. The concept of moment by moment monitoring of all citizens through every form of electronic eye is startling. I was amazed at the power of imagery used to depict the multiple levels of society and the details of the scenery, from the buildings to the various forms of transportation to the rooftop gardens. There are harrowing scenes of workers using elevators, being over worked, underpaid and disrespected by the Overseer. You can feel the desire of everyone wanting more, not just the lowly workers hoping for a better quality of life, but even the wealthy trying to find an existential meaning in life. It all makes for a great thought provoking movie that challenges revolution, government and the collective soul of the entire society from the top down. All of this using techniques and special effects very unique to the time and still being used in film production today. Q: How did you get started as an actor? Shane: I starred in a reality show for the Discovery Channel, Naked and Afraid. I was in the pilot episode and then in the series, Naked and Afraid XL. As one of the highest rated shows in the history of the network, I received a great deal of attention. During interviews and subsequent events, I was approached by various people in the industry who gave me positive feedback and encouragement to move into acting. After the way I grew up, it felt good to have people appreciate and to support me. Q: What kinds of roles are you best at playing? Shane: I feel that I do my best in roles when I can portray a heavy thinker, those who don't take things at face value and demonstrate strong character traits. Q: Is there a director whose work you admire and with whom you would like to work? Shane: I admire & respect JJ Abrams work. From television in shows like alias to the movies he's directed. When star trek was relaunched, I was impressed with the story changes; Spock planet and mother being destroyed. The amazing ways the well known characters interacted & developed with subtle changes took bravery to film. The risky stunt work and action scenes never had a feel of filler or generics. I hope I get the chance to work with him for all these reasons. Q: Do you have a wish list of directors? Shane: Yes, Steven Spielberg, Ridley Scott, Peter Jackson, the Wachowski brothers are on my list. 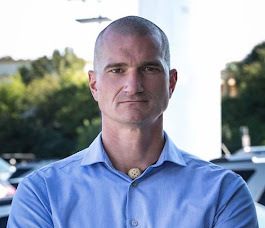 Shane: I've spent the past 20 years traveling the world and gaining proficiency at various extreme sports. I've maintained a blog for several years sharing my adventures and in 2013 published an autobiography Growing up institutionalized to globetrotting. I had a difficult childhood, living in boarding schools and as a ward of the state. I have since learned to enjoy the outcome of being able to make choices regarding the paths I take in life. Good or bad, having the freedom to try new things is not only rewarding, but has resulted in many once in a lifetime experiences.